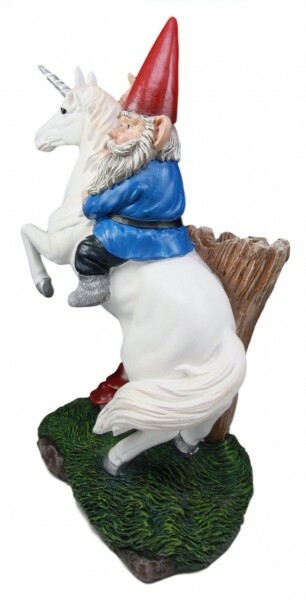 Fantasy Gnome Riding Unicorn Statue - 36cm or 13.5 inches. Add a touch of whimsy and magic to your decor with this Gnome Riding The Unicorn! 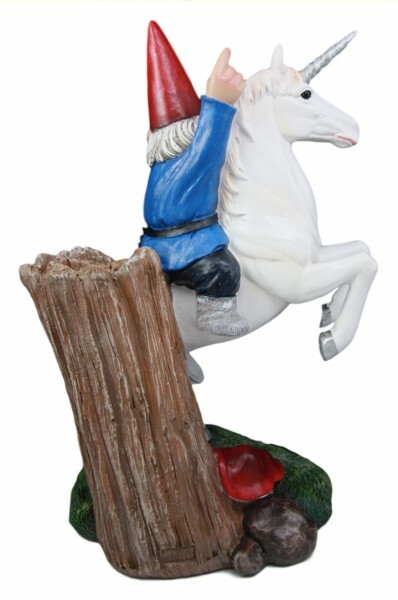 Use him to greet your guests at your patio, station him at your garden, poolside or what have you and watch him gain admiration from all eyes that see him. 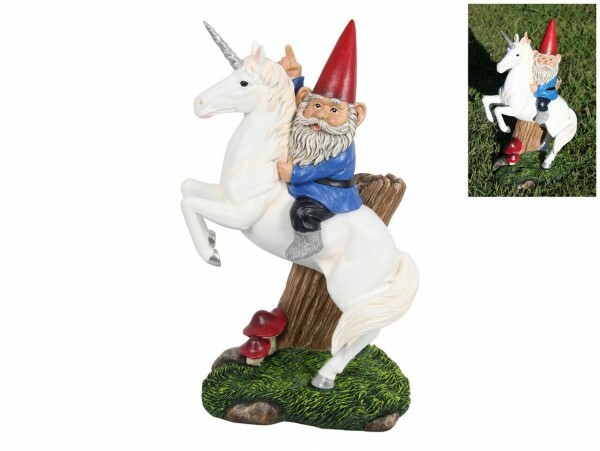 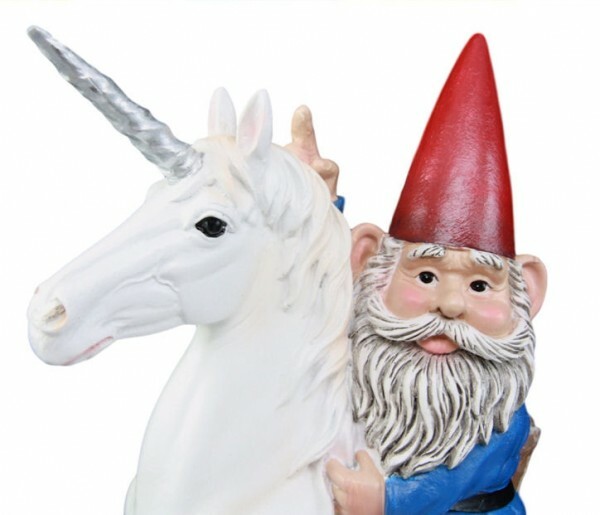 This Unicorn Gnome statue is made of hardened polyresin and fiberglass. 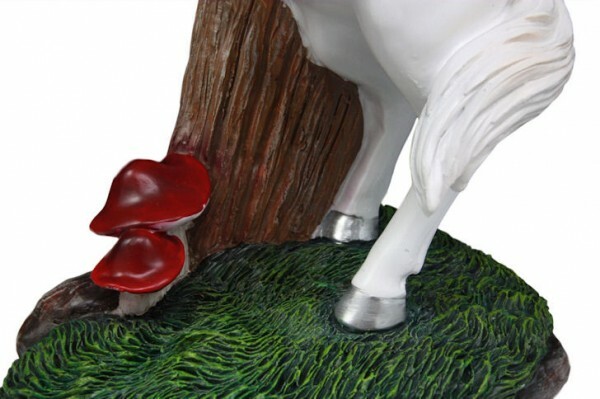 He is expertly hand painted, polished and outdoor coated.